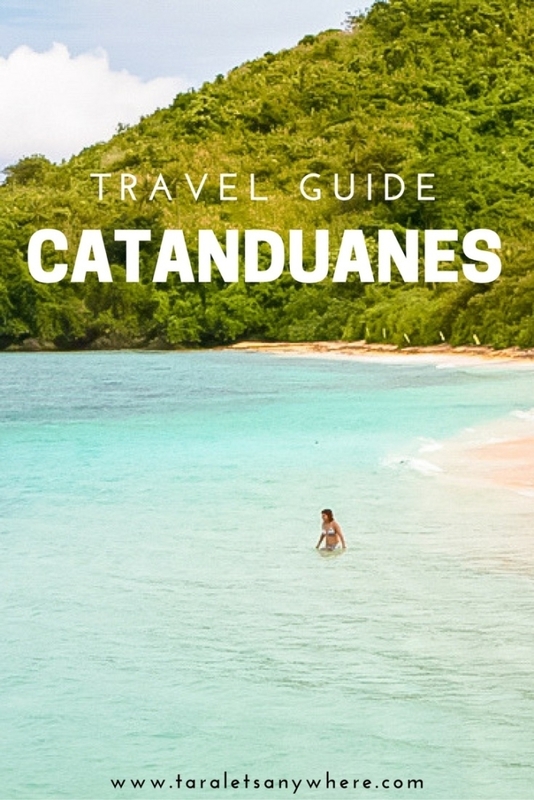 Here’s a travel guide to Catanduanes, also known as the “Land of the Howling Winds” and recently the “Happy Island.” I hope this will give you all the basic information you need to know about Catanduanes. As a traveler’s destination, I feel like Catanduanes is still in its budding stages. Even Binurong Point — a pastoral cliff often compared to Batanes — has gained popularity only last year. Its local tourism branch is quite new, having only been established early this year, to accommodate the growing number of visitors in the area. Case in point: I think there is still much to discover in Catanduanes, and I wrote this knowing that soon enough it will need some major updates. 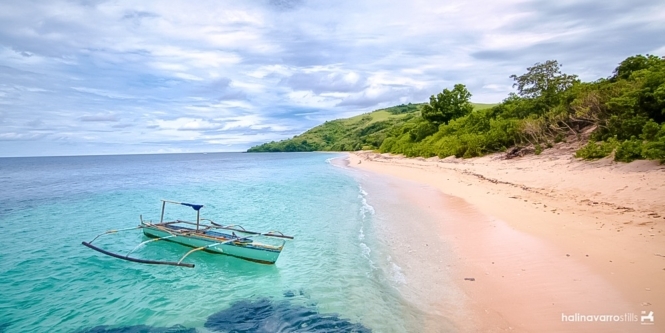 Catanduanes is one of our favorite provinces in the Philippines. It has scenic landscapes — pastoral cliffs, rolling hills — as well as great beaches and natural lagoons. I hope you’ll enjoy visiting Catanduanes as much as we did! By the way, you can also read about our trip to Catanduanes here. The easiest way to get to Catanduanes is to book a flight to Virac. As of this writing, Cebu Pacific flies once a day from Manila to Virac, with a morning schedule. An alternative is to get on a bus to Legazpi (12 hours) and then head to Tabaco Port. From Tabaco Port, ride a passenger boat to San Andres, Catanduanes (3 hours). Boat schedules from Tabaco Port to Catanduanes are 7AM and 1PM only. From Virac, there are public jeepneys, multi-cabs and vans to nearby towns. However, for touring, it’s best to hire a private motorcycle or tricycle so you can specify which areas you would like to stop by. Rates vary depending on the destination. For instance, going to the nearby beaches in Virac usually cost P500. Although most blogs talk about Twin Rock Beach Resort, Puraran and Binurong Point, there’s actually a lot more attractions in Catanduanes. You can do a lot of things in this province, including island hopping, surfing, trekking through rolling hills and visiting historical churches and landmarks. 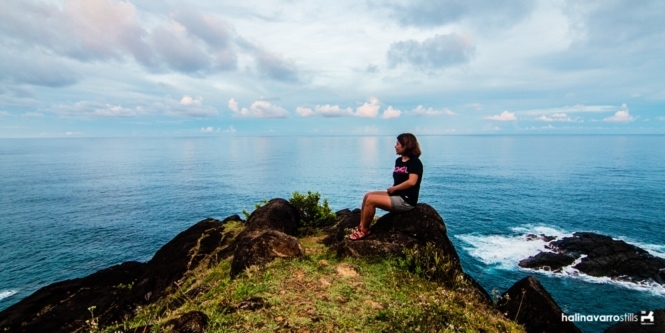 Here are the best tourist attractions in Catanduanes. We’ve visited several of these already, as you’ll see in our itinerary in the section below. The main attraction in Caramoran is Bitaog Beach in Parongpong Island. You can also do a side trip to the other islands in Palumbanes: Tignob and Calabagio islands. For boats for island hopping, head to the port and just ask around for any fishermen willing to take you across the islands. If you’re staying in Coco Beach Resort, Ate Letty can help you find one. Rates are P1000-1500 for a small boat and P3000 for a bigger boat. Cagnipa Rolling Hills is a very scenic farmland in Catanduanes. From here, you can see Carangyan Beach in the distance. Just below Cagnipa Rolling Hills is the Tuwad-Tuwadan Natural Pool. We love this area and recommend staying overnight in Carangyan Beach Resort. The beach is quiet and beautiful, and there are none to few guests during off-peak season. You can tour the attractions in Pandan via habal-habal for P800-1000. Similar to Siargao, Catanduanes is famous for its great waves. Puraran is its main surfing spot. Every October, Catanduanes holds an annual surfing competition, the Majestic Puraran Surfing Cup. 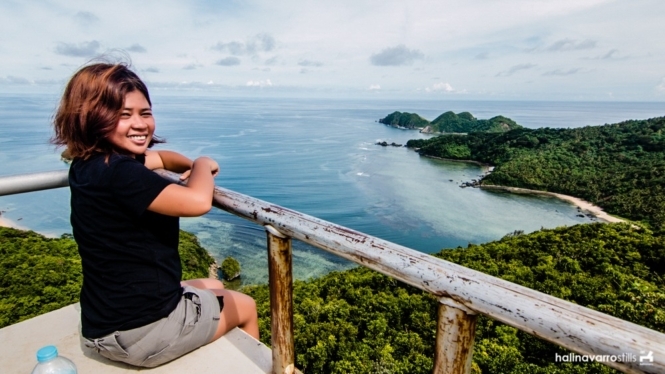 Binurong Point and Balacay Point are pastoral cliffs and a favorite of sunrise viewers. One of the tourist attractions in Bato is the Bote Lighthouse near Sakahon Beach. Sakahon Beach is negligible, but the lighthouse is worth a trek. It takes 30 minutes to reach the lighthouse. The trail is steep, so leave any heavy backpacks in your vehicle. Local kids will normally volunteer to guide you to the lighthouse. Don’t forget to give them a tip. Similar to Tuwad-Tuwadan Pool, Poseidon Rock has unique formations and natural lagoons. There are also snorkeling sites nearby. 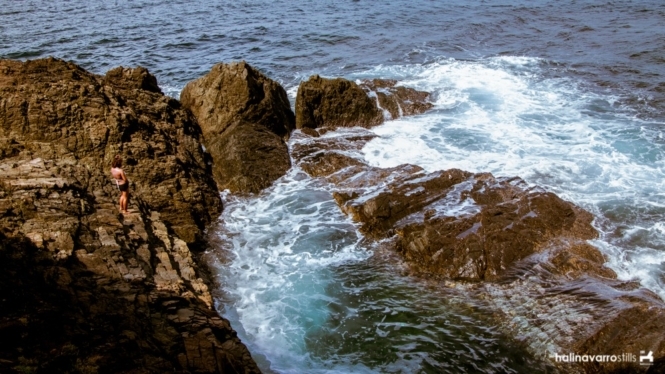 Ilihan Point is one of the most iconic spots in Catanduanes. It’s a phallic-shapped rock located in Bagamanoc Bay. It is also called “Boto ni Kurakog”. If you take a flight to Catanduanes, you’re going to land in Virac. Virac is the jump-off point to other municipalities in Catanduanes: to Caramoran and Pandan (left) or Bato and Baras (right). Here you can go on a short city tour and, as most tourists often do, visit its beaches. The popular ones are the Twin Rock Beach Resort in Igang and Mamangal Beach Resort in Balite. To tour Virac, you can use public transpo or simply hire a hire a private tricycle. From here, you can also hire a tricycle or habal-habal to take you to Bato and Puraran. 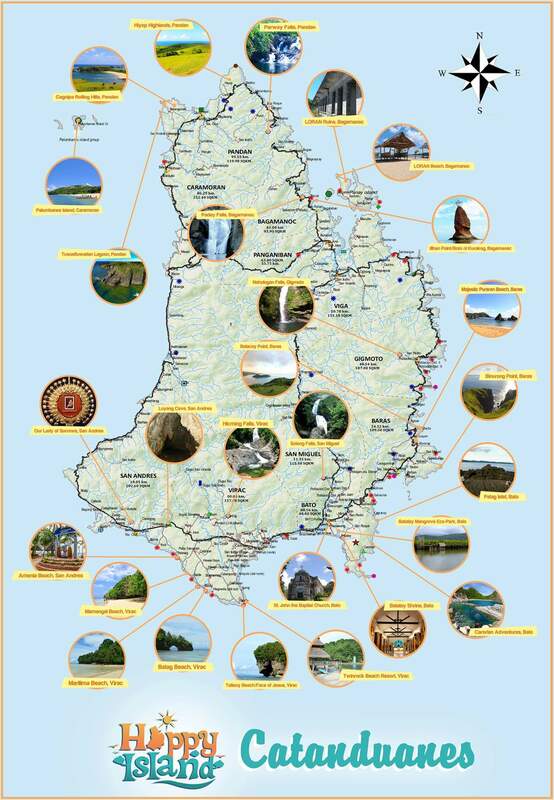 Here’s a map from the Catanduanes Tourism Board listing the current tourist attractions in Catanduanes. To download, click the image and then right click – save as. This is based from our itinerary when we visited Catanduanes. 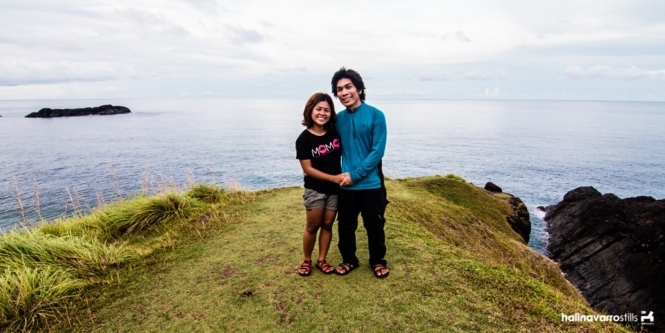 You can read about our experience in Catanduanes here. If you want to follow this itinerary and commute as we did, take note of the schedules of public transpo especially to distant municipalities such as Pandan and Caramoran. From Virac, there are buses and vans to Pandan from 9AM to 1PM. Others say there are still rides available at 5PM, but we have not confirmed this. From Pandan to Virac, the earliest van schedule is 4AM but you’ll have to go to the terminal in the market to confirm this, as I’m not sure if this is part of their regular schedule. The latest schedule is 12noon – 1PM only, except on Fridays where there are occasional vans leaving at 3PM. Catanduanes is one of the cheapest provinces we have visited. For 4 days in Catanduanes, our budget for 2 people is P4000 each. There’s a lot of options on places to stay in Catanduanes, depending on whether you want to book in a resort, hotel or homestay. You can check out the lowest prices of accommodations in Catanduanes here. If you’re staying the night in Caramoran, I suggest Coco Beach Resort. It is owned by Ate Letty and is just across the Palumbanes islands. Accommodation is P300 per night. Food is also served in the resort. This resort in Carangyan is a bit on the expensive side, but I guarantee that it’s worth it. It’s packed during summer, but during off-season there are few guests and you can enjoy the beach to yourselves. Rooms are available at P1500 (fan room) and P1800 (aircon). There are also cottages at P300 each, although I wouldn’t recommend getting one for an overnight stay because of mosquitos and other insects at night. We’d planned on staying in a cheap inn in Virac, but our tricycle driver suggested here instead. I consider this a good find, and it’s only 5 minutes away from the airport. They also have free shuttle service to and from the airport, if you have any heavy luggage. Kemji Resort features artistic decorations — warm lights at night, round swings beside the pool and so on. It has pools and a restaurant, which serves reasonably priced good food. Rooms are available at P1000-1100 for 2 people and P1000-1500 for 3 people. 1. 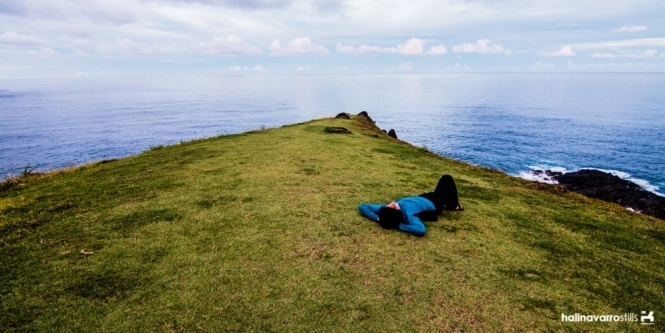 Before coming to the island, what were your initial thoughts or ideas about catanduanes? 2. Why do you thinks that catanduanes is not that known or famous in other regions of the country especially in manila? Your thoughts on these would really help, Thank you! and God bless! Hi Kezia. I’ll answer you here instead of email. 1. As far as I remember (this trip was dated 2016), we didn’t really have any clear expectation about Catanduanes. We only that it’s “beautiful” from what other backpackers said and it’s where we can find the popular Binurong Point (often likened to Batanes). Hello! Hoping you could answer. We’re planning to rent a car going to the east and west part of Catanduanes. Our trip is this coming May. We are group of 5. Do you think its possible for us to drive around the island? And is globe or smart LTE working all through out the island? We’re just planning to use waze or google map. Thanks! Don’t count on internet. Outside Virac it’s very unreliable. Hi! How much time will it take to island hop Palumbanes? and to tour Pandan? I was planning to squeeze the those two in one day. Hehe. Hi meron ba kayo contact ng tour guide like habal sa Virac? tnx. Hi, Gep. Sorry we didn’t get our driver’s number but you can always ask around. Catanduanes is a beauty that is so pure. Even if it’s always struck by typhoons during the rainy season, it still boasts of its wonder. I’m glad you found it as a happy place! Even if I’m from Albay and literally neighbors with the province, I haven’t explored it yet. Maybe next time though! Haha. I am delighted to see travel guides to different beautiful areas of our country. Surely, there are more to see and go to, aside from Boracay. I also think going to far-flung or non-touristy places will be more enjoyable and relaxing compared to going to the beach teeming with tourists and visitors. I sure hope I can visit Catanduanes one day, it is a lovely place! 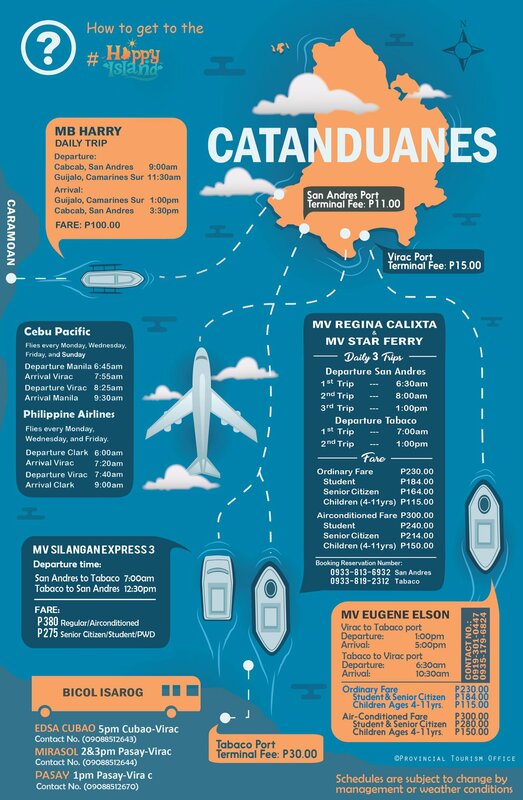 Whoah, whichever option to go to Catanduanes, it sure is not a joke. Having those long trips make me dizzy but lo, with so many beautiful places to see and to experience, that’s worth the trip after all. It’s just that, one needs to be keen with the time if they want to go here. Looking forward to set a foot at the said place. Wow! Just P 4,000 for two people to tour Catanduanes? Count us in! I would try to take a plane though as I know how energy consuming it is to travel for 12 hours for a light sleeper like me. How I wish we have a drone by that time. Catanduanes really looks like Batanes. It’s P4000 each for 2 people. I had to re-check that I got it right. 🙂 But yeah it really is cheap. Usually we spend about P5000+ each for a 4-day trip.